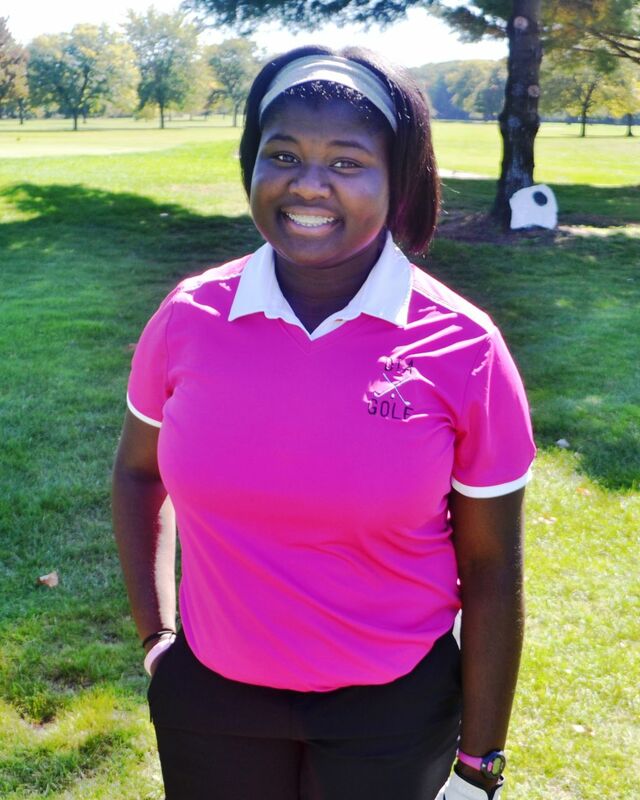 Detroit International Academy’s Evette Booker is finishing her Detroit Public School League girls’ golf career the same way it began – as a champion. 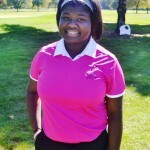 The Pink Panthers’ senior made a triumphant return Wednesday at Palmer Park Golf Course where she shot a sizzling nine-hole 33 to take low medalist honors for the second time in the PSL championship meet. Booker was low medalist with a 46 three years ago as a Renaissance High freshman, but she sat out the 2011 season to concentrate on her studies and missed last year after transferring to DIA. Booker finished five shots ahead of Renaissance sophomore Nia Little, who was last year’s low medalist and is also a long-time friend. 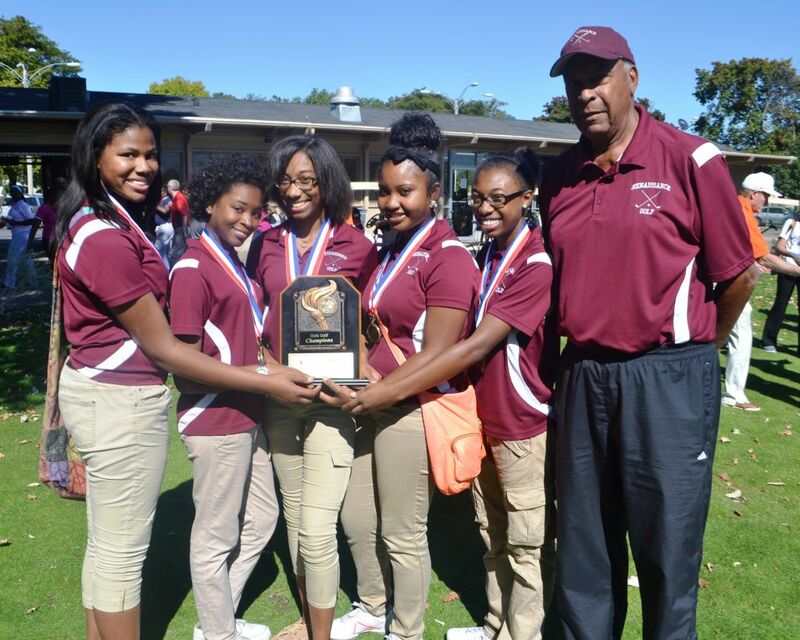 Led by Little’s 38, Coach Harry Kennedy’s Lady Phoenix won their fourth consecutive team championship with a 193. Melanie Sloan shot a third-place 51 and Bailey Tate and Shelby Tate tied for fourth place with 52s to complete Renaissance’s winning foursome. King took second place with 255. 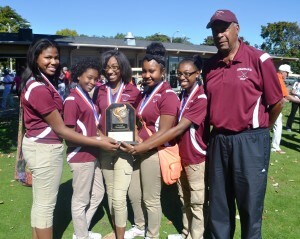 The Lady Crusaders’ foursome included Joi Webb (61), Gwendolyn Aikens (62), Michaela Kelly (64) and Janae Williams (68). 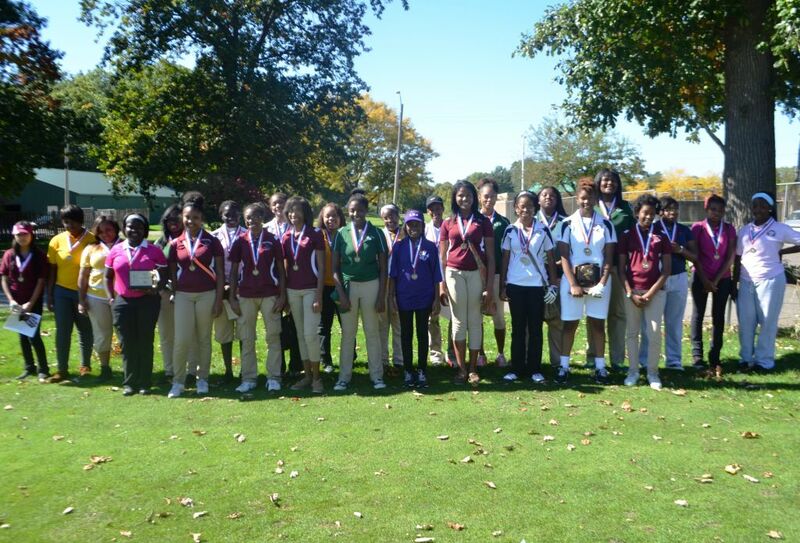 Cass Tech was third with 267 followed by DIA fourth with 277, Osborn fifth with 291 and Ford sixth with 308. The top 25 individual golfers were accorded PSL All-City honors.